OnePlus today unveiled their latest flagship device, the OnePlus 3. The OnePlus 3 hasn't really been media shy and today's announcement pretty much confirms a lot of the things from one of the several leaks we've had. The OnePlus 3 sports an all metal finish with a aluminium unibody which is reminiscent of the HTC One M9 when viewed from the back thanks to the antenna lines and the positioning of the camera. 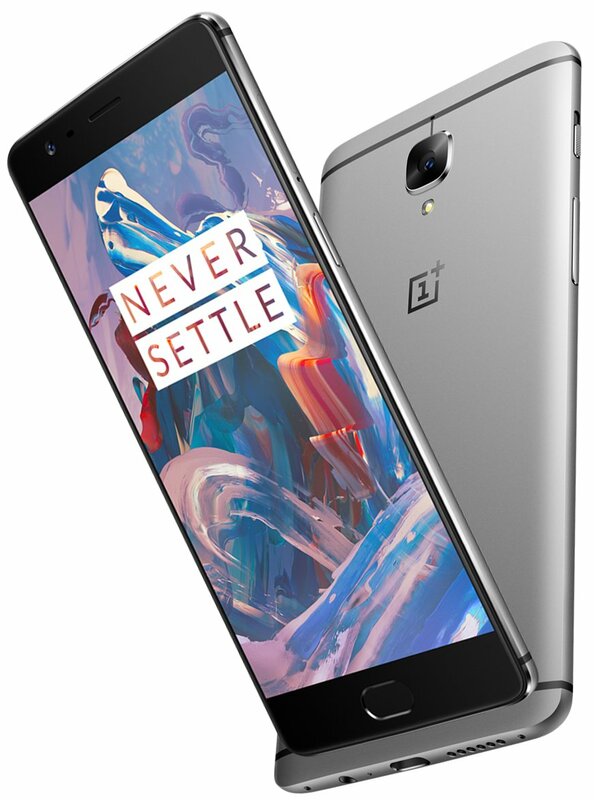 The front of the OnePlus 3 features a 5.5inch 1080p AMOLED display protected by Corning's Gorilla Glass 4 and a home button with an embedded fingerprint sensor. The Home button is flanked by two capacitive navigation buttons. The OnePlus 3 is powered by a Snapdragon 820 quadcore processor clocked at 2.15GHz, an Adreno 530 GPU, 4GB/6GB RAM, 64GB internal storage. The OnePlus 3 has got the usual connectivity options such as Bluetooth 4.2, aGPS, 3.5mm audio jack, NFC, Wi-Fi b/g/n/ac, USB Type C port, and dual SIM support. In the camera department, the OnePlus 3 packs a 16MP Sony built IMX298 sensor with an F/2.0 aperture, PDAF, OIS, and EIS. The front facing camera is an 8MP IMX179 sensor with 1.4um large pixels and an f/2.0 aperture also built by Sony. The battery capacity of the OnePlus 3 maxes out at 3000mAh and supports Dash Charging which can give the device a 60% boost in 30 minutes. It would run OxygenOS which is based on Android 6.0.1 Marshmallow out of the box. 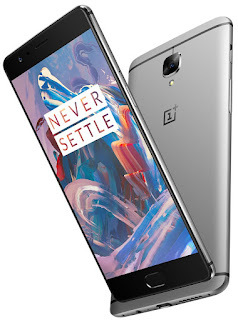 OnePlus 3 will be sold sans the invite system in a choice of Graphite or Soft Gold. The smartphone is been priced at $400 in the United States and €400 in Europe. The OnePlus 3 can be purchased via the OnePlus Loop VR app or Amazon India where it is priced at Rs. 27,999.